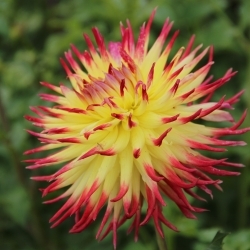 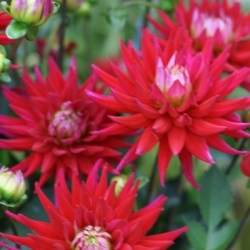 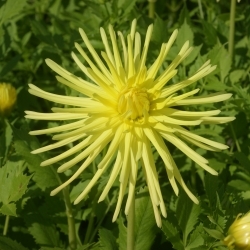 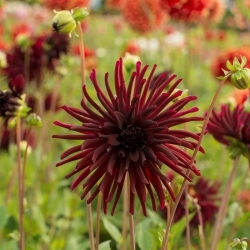 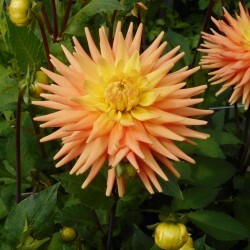 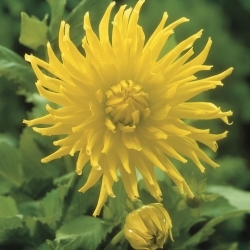 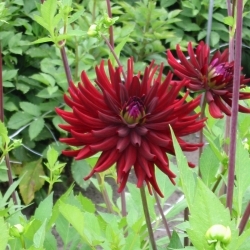 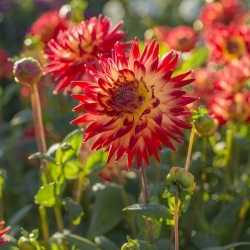 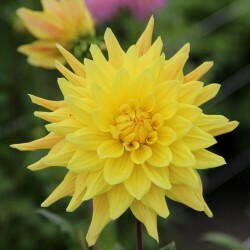 The ribbon-like flower petals of te Cactus dahlia are rolled up for more than two thirds. 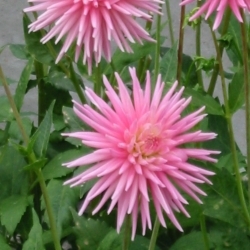 The petals can be straight, but also bend inward or outward. 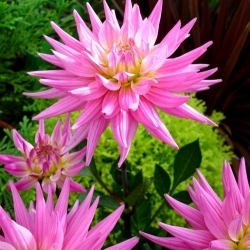 They are usually narrow and pointed, sometimes the tops are deeply cut. 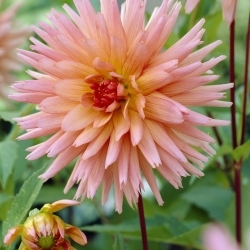 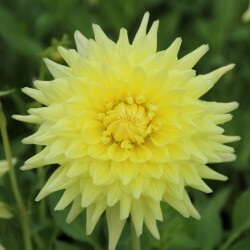 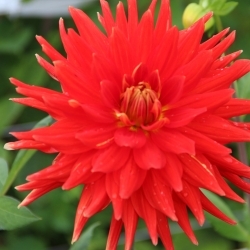 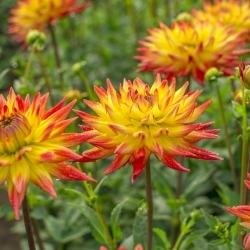 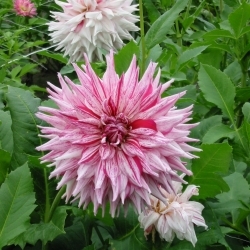 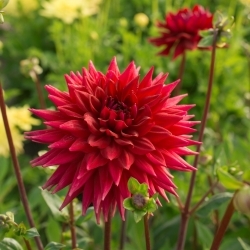 The semi-cactus dahlias have completely filled flowers and the ribbon-like flower petals are slightly broader and flatter than the true cactus-type. 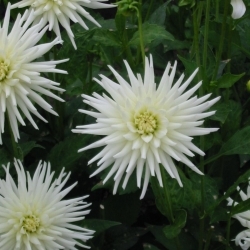 They are flat or slightly bent. 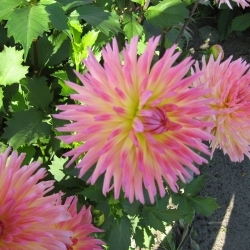 The petals are rolled up for less than half the length.